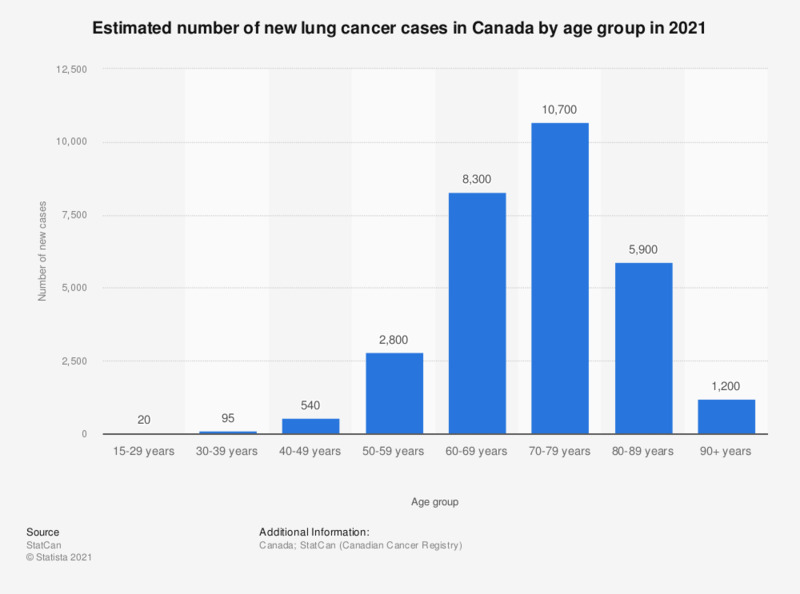 This statistic displays the estimated number of new lung cancer cases in Canada by age group in 2017. For this year, it is estimated that there will be 25 new lung cancer cases among those between 20-29 year old. Cancer is one of the leading causes of premature death and almost half the individuals in Canada will develop this disease during their lifetime. Includes cancer of the bronchus.